HIIT (High-Intensity Interval Training) workout + Yoga + Breathwork, followed by a plant-based vendor market. This workshop experience is for those of you who train hard and often, and workout with high-intensity, heavy weight, and/or resistance, most likely tearing up your muscles and experience muscle soreness. Bringing you a fusion of movement, silent disco style. Come treat yourself and have some yummy protein pizza. Don’t worry because you’ll still have worked for it and have gotten your sweat sesh in. Come get all the self-love you need and treat yourself. Don’t worry because you’ll still have worked for it and have gotten your sweat sesh in. 1 Day Retreat: HIIT the fire, Flow like water. This 1 Day Retreat will give your body and heart exactly what it’s been craving. Get ready for a little getaway where you’ll get to experience Movement Fusion and Ayurvedic Nourishment, all while being in the center of downtown San Diego. - Yoga Session, HIIT workout, and Detox workout in the pool! - Goody bags + more! Here’s your opportunity to zone out, get a sweat on, zen out, meet some good-energy people, heal your body, and nourish yourself with good foods! Get ready for a fusion of different movement, followed by a delicious plant-based experience in La Jolla. When: Saturday, January 19th from 10am-1pm. 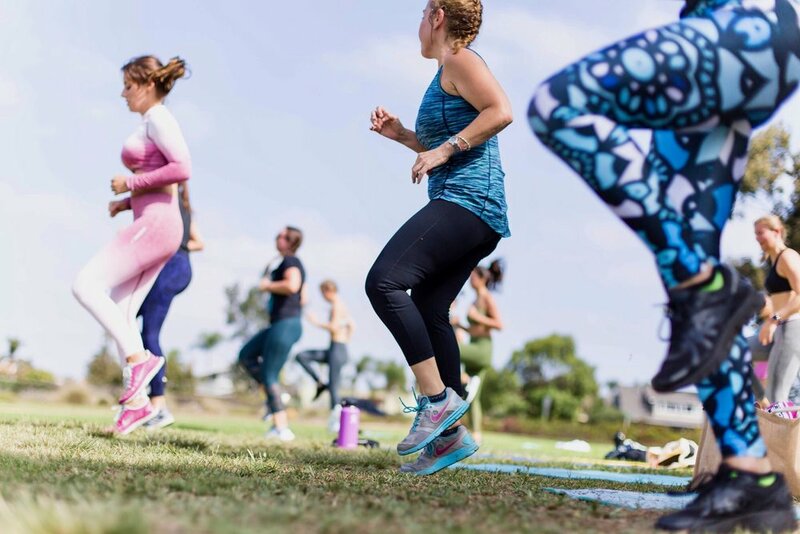 You will arrive at Lorna Jane La Jolla where the movement portion will be held. Sucha Kumar will be leading a strengthening yoga flow, followed by Savannah Egg-Lyons who will be putting you through a more high-intensity movement practice with some boxing and animal flow elements. You’ll end with a beautiful closing meditation. We will all walk over to Beaming Organic Superfood Cafe across the street, where Mary Sewell, PA-C will enlighten us all with some knowledge on plant-based nutrition for performance, and long-term health! 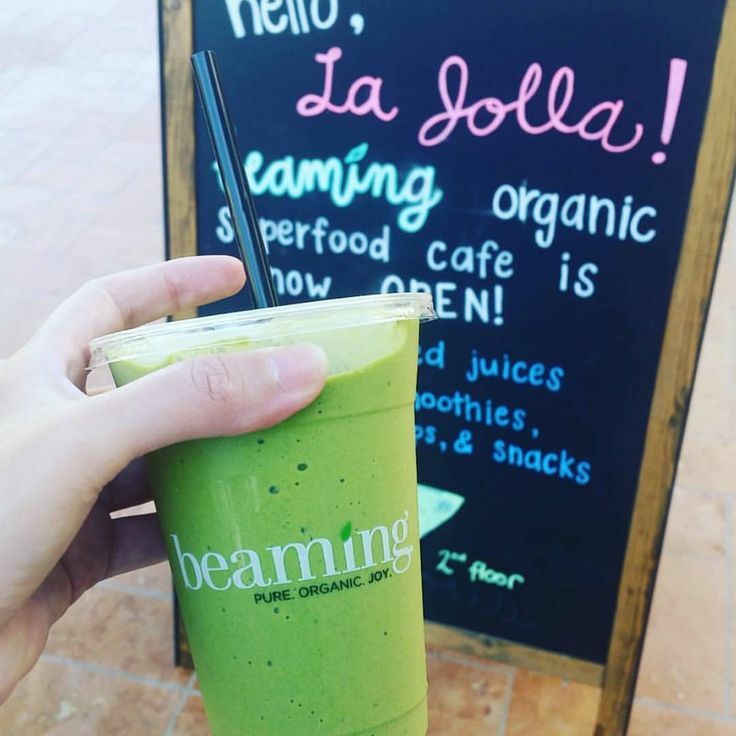 Beaming Organic Superfood Cafe will be providing us with some delicious plant-based notes and drinks, which we will enjoy with the amazing people around us! - BYOM (bring your own mat!) which you’ll use in the studio for the movement portion of the event. - Bring water! (Preferably a reusable water bottle). You’ll definitely get a sweat on during the workout flow so it’s very important to hydrate throughout. - Wear layers! La Jolla can tend to be cold outside, however, you will warm up during the workout. Recommended to wear athletic shoes, comfy activewear and to bring a jacket. - Arrive early, and allow time for parking. There will be plenty of parking in the morning hours, however, you may need to plan time to walk over to Lorna Jane, get signed in, and join us in the studio. We’re so excited to experience this with you! Only 15 spots for this event. We will be peaking 5 different mountains (within Mission Trails Park), all in one day. We will be peaking 2 different mountains (Cowels Mountain & Plyes Peak), while experiencing several mini-breathwork sessions throughout the hike. When: Sunday, September 23trd from 9am-11:30am. Upon arrival, you will gather together for a beautiful, centering meditation and stretch. As you begin to center your focus and have your energy increase & kick in, you will partake in a high-intensity interval class. After a quick breather, you will be guided through a yoga flow. Not only will you be giving your body some self-love, but you’ll also be gaining more awareness of your body (creating a muscle-mind connection)! 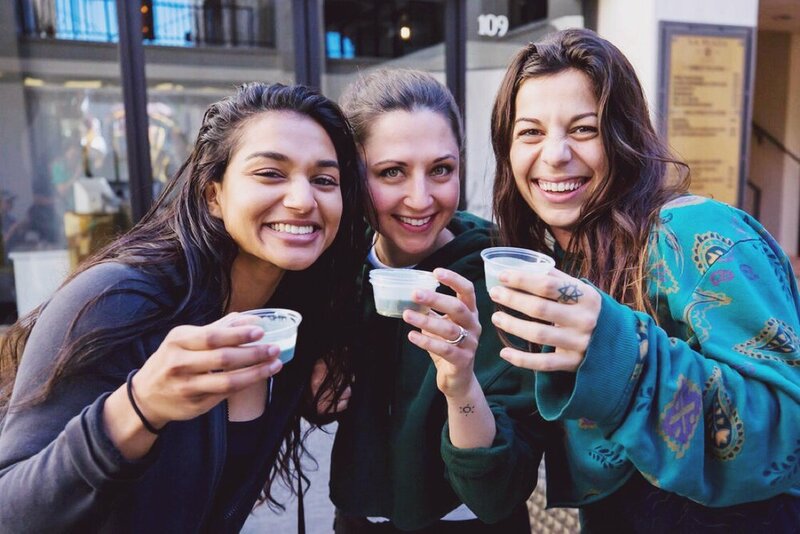 Finally, after giving your body some care and getting a good sweat in, you will be treated with some delicious plant powered drinks and bites! This is an outside event and you will sweat! Dress accordingly and wear sunscreen! While some people are used to working out fasted, others need to fuel up before. Do what’s right for you! When: Sunday August 19th from 9am-11:30am. When: Sunday, July 29th from 9am-11:30am. Upon arrival, you will gather together for a beautiful, centering meditation and stretch led by Cheyanne Abolt of Existence Yoga Studio. As you begin to center your focus and have your energy increase & kick in, you will partake in a high-intensity interval class led by Jeremiah Sturm. After a quick breather, you will be guided through a yoga flow by Christina Wehry Wellbeing. Not only will you be giving your body some self-love, but you’ll also be gaining more awareness of your body (creating a muscle-mind connection)! 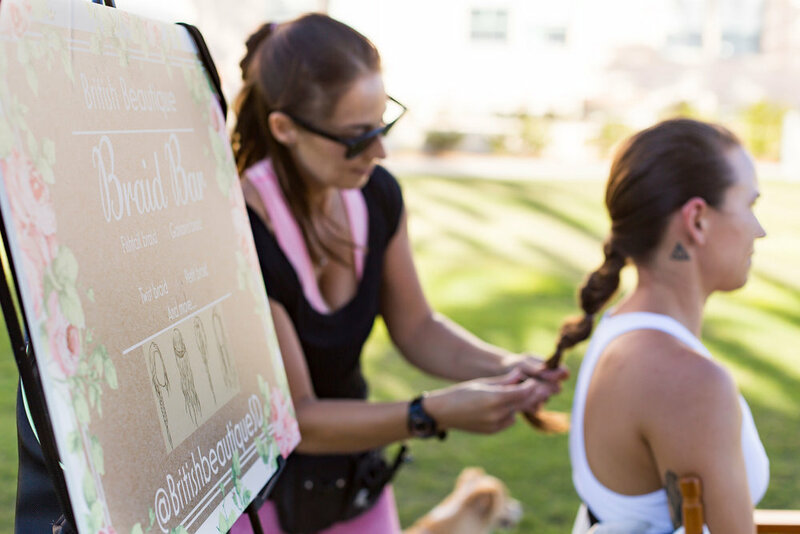 Finally, after giving your body some care and getting a good sweat in, you will be treated with some delicious plant powered drinks and bites including drinks from REBBL, energy bites from Rickaroons, and vegan protein donuts from San Diego Protein Company! When: Sunday, June 24th from 9am-11:30am. Upon arrival, you will get to drink some freshly shaken organic/vegan Renewable Energy by Ora Organic (made from real ingredients) that will kickstart your Sunday! You will then participate in a beautiful, centering meditation led by Lindsay Russo E-RYT-500, founder of You Are Sacred School of Yoga. 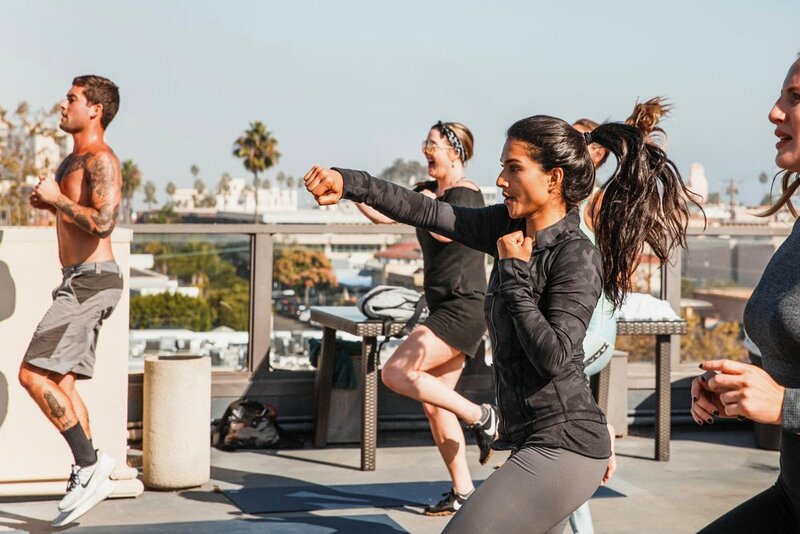 As you begin to center your focus and have your energy increase & kick in, you will partake in a high-intensity interval class with Jeremy Strum from F45 North Park. After a quick breather, you will be guided through a strengthening Yoga Flow by Terra Cosby from Saffron & Sage. Not only will you be giving your body some self-love, but you’ll also be gaining more awareness of your body (creating a muscle-mind connection)! Finally, after giving your body some care and getting a good sweat in, you will be treated with some delicious protein donuts from SD Protein Company, organic plant powered protein drinks by Rebbl, and coconut energy bars from Rickaroons! Tickets are $10 (including the ticket service charge) and we have a max limit of people, as we want to keep this intimate while providing space for everyone!